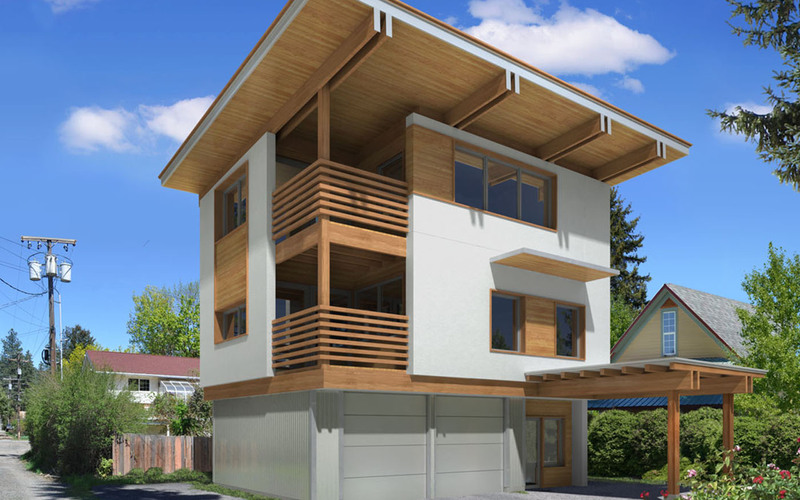 A new house in a multifamily neighborhood of Leavenworth. 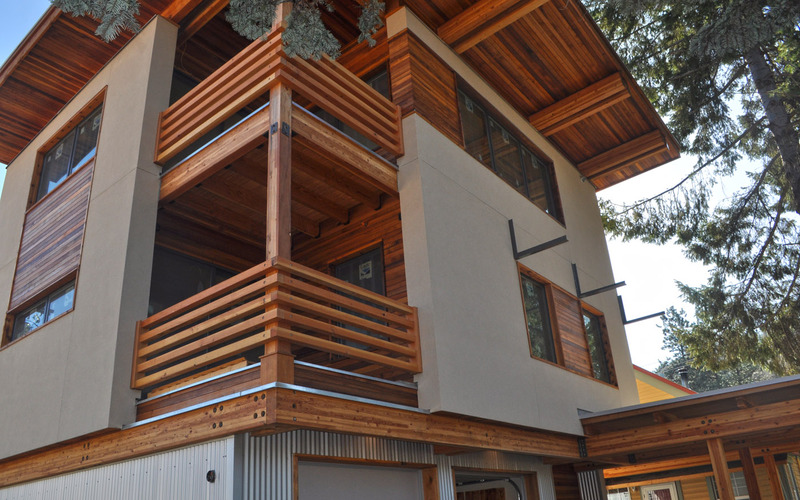 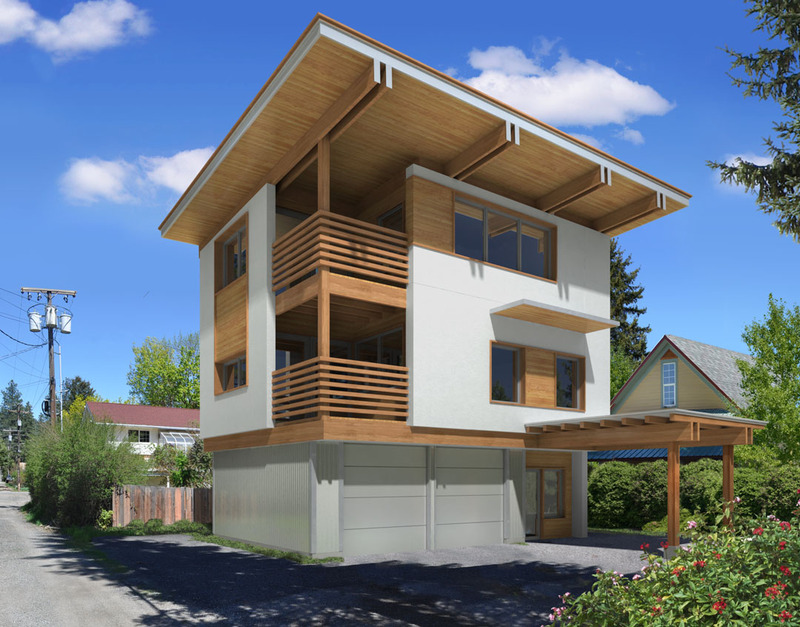 A modern take on a timber frame home. 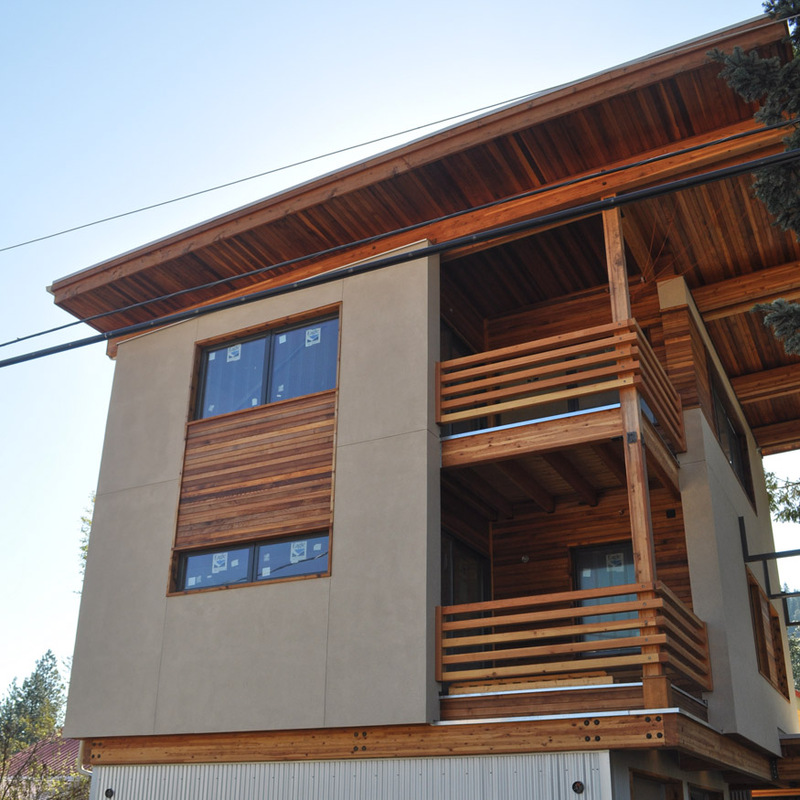 The lateral frame is independent from the SIPS exterior and roof, making for a highly efficient curtain wall thermal envelope and roof made out of R-50 SIPS.